The story of Dave MacLeod's Echo Wall on Ben Nevis. Dave MacLeod preparing for and making the first ascent of Echo Wall, one of the world's hardest trad climbs. 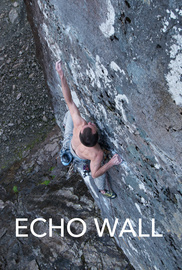 Echo Wall is located on Ben Nevis, Scotland and took a year of preparation to climb.